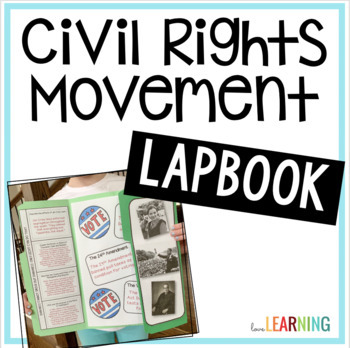 This Civil Rights Movement Lapbook is the perfect project to use during your unit! 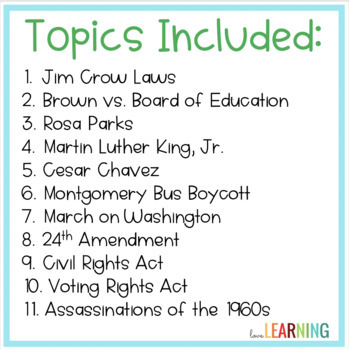 Students can research the information and complete the lapbook before your unit, or they can use it at the end of the unit as a review activity. 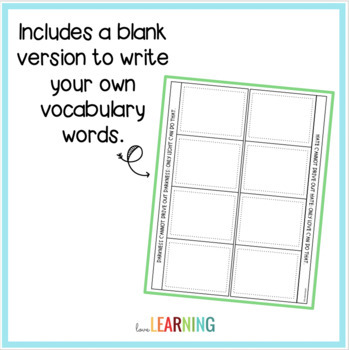 The lapbook includes a blank version that you can use to insert your own questions or vocabulary words.